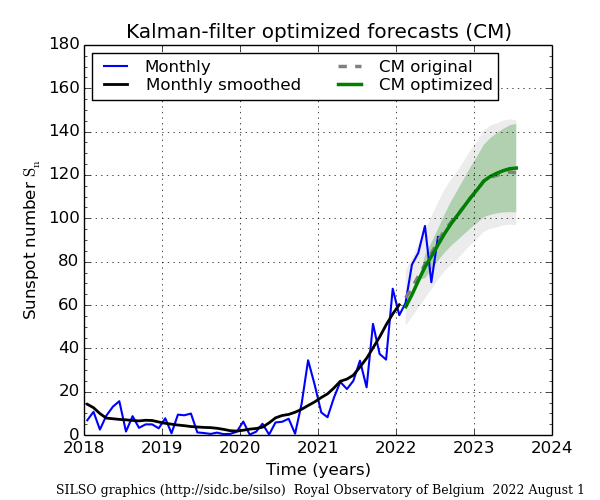 Improved 12-month ahead predictions obtained by applying an adaptative Kalman filter to the primary Combined Method (CM) predictions from WDC-SILSO. This technique improves the approximation of the smoothed monthly sunspot number over the last 6 months, i.e. the interval between the last available smoothed value of the sunspot number and the current month of the prediction.